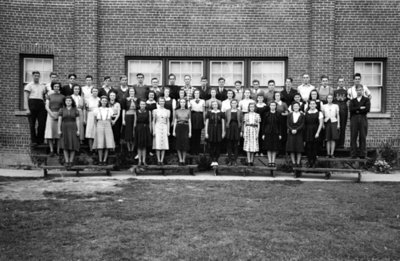 Black and white photograph of the grade 12 and 13 classes at Whitby Collegiate Institute. The photograph was taken outside the school. Whitby High School Grade 12 and 13 Classes, October 1939, Marjorie Ruddy. Whitby Archives A2013_040_116A.